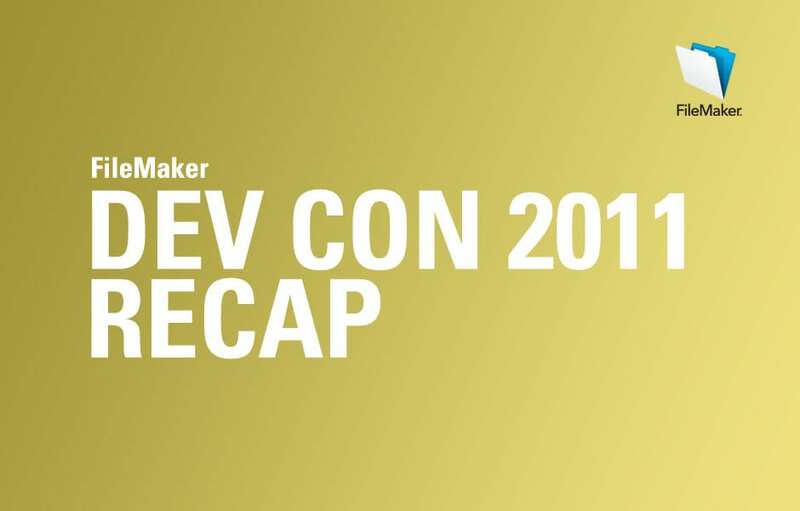 2011 FileMaker Devcon Recap (DevCon) has been a truly enjoyable experience for me. It’s the one place on the globe that the best and brightest FileMaker talent gather for a little under a week to share ideas, learn techniques, find answers to challenges, collaborate, and get a few hints about the future of FileMaker. This year’s conference was held at the gorgeous San Diego Hilton Bayfront where we enjoyed temperatures in the 70s with low humidity and a pleasant breeze. The accommodations and facility was top notch, with plenty of space for the conference and all of the normal hotel patrons. For me, it’s really about being together. This is an amazing and supportive community of people who share common interests, face similar hurdles, and are working toward many of the same goals. While the FileMaker online community is vibrant, nothing beats face time, and DevCon offers plenty of opportunities to hang out and chat with 1,000+ of your closest FileMaker friends! Here are some of my highlights from the 2011 FileMaker Developer Conference. The three sessions that had the most impact for me this year all had to do with performance. FileMaker, Inc.’s Jon Thatcher kicked off the first slot on Wednesday, the first official conference day, with an “under the hood” session focused on WAN performance. He explored some of the behind-the-scenes changes that they are working on to improve WAN performance in future versions and explained the ins and outs of the FileMaker Server logs. Understanding the logs is the first step in analyzing and ultimately correcting performance issues. On Thursday Mark Richman from Skeleton Key in St. Louis, MO presented “Practical Techniques for Improving FileMaker WAN Performance”. Mark shared some of the most “expensive” features in FileMaker (from a performance perspective) and how to work around them, or simply avoid them when deploying over a wide area network. Jason Young from Terapico Data in Boulder, CO expanded on last year’s more general “What’s Faster” session with a focus this year on “What’s Faster for FileMaker Go”. Jason provided some comparative speed metrics when running FileMaker processes in FileMaker Go on an iPad locally, on a WLAN, and over 3G. The results in relation to each other were as expected with performance being worse over 3G than on a WLAN, and both being dramatically slower than a locally run process. Jason also shared a case study where performance was a major hurdle for a FileMaker Go deployment. He explained what techniques they used to overcome performance issues by simply rethinking the way they approached certain features. Some common themes emerged across all three of these sessions. Primarily, with more and more movement toward WAN deployments, FileMaker developers need to rethink some common practices based on an understanding of what causes performance to drag. For example, all three presenters talked about the increased use of one-to-one relationships to help keep tables thin, push fields that contain a lot of data out to related tables, and ultimately reduce the amount of data that needs to be pulled down from the server when records load. This topic is very important for the development community right now and it’s great to see so much attention being placed on it. Thanks to Jon, Mark, and Jason for their hard work and for bringing real solutions for dealing with performance issues to the community. The most fun I had at a session this year was FileMaker Feud, presented by our friends at MightyData in Dallas, TX. This was one of several vendor sessions that gave vendors an opportunity to showcase their products and services. MightyData had some fun with their slot by recruiting eight contestants and two of their FileMaker coaches, Martha Zink and Anders Monsen, who competed as “families” guessing the most popular answers to many FileMaker related questions. The answers came from a survey sent out to the greater FileMaker community months in advance. Based on a tournament format, the winning team was then split up for a second round, and then those winners went head-to-head for the final rounds. In the end Laura Betz from Cross IT beat Lee Lukehart, SaavyData, in a suspense-filled final round that could have been the basis for a fine come-from-behind, underdog film! All contestants received great gifts, with the grand prize being a brand new iPad 2! The conference ended with the announcement that the 2012 FileMaker Developer Conference will be held in Miami, on July 16-19. If you are part of the FileMaker community but haven’t yet made it to a DevCon, do yourself a favor and try to get out to Miami next summer. You won’t regret it! Over the past ten years, the annual FileMaker Developer Conference (DevCon) has been a truly enjoyable experience for me. It’s the one place on the globe that the best and brightest FileMaker talent gather for a little under a week to share ideas, learn techniques, find answers to challenges, collaborate, and get a few hints about the future of FileMaker. This year’s conference was held at the gorgeous San Diego Hilton Bayfront where we enjoyed temperatures in the 70s with low humidity and a pleasant breeze. The accommodations and facility was top notch, with plenty of space for the conference and all of the normal hotel patrons. For me, it’s really about being together. This is an amazing and supportive community of people who share common interests, face similar hurdles, and are working toward many of the same goals. While the FileMaker online community is vibrant, nothing beats face time, and DevCon offers plenty of opportunities to hang out and chat with 1,000+ of your closest FileMaker friends! Here are some of my highlights from the 2011 FileMaker Developer Conference.